Courtesy of Topone Realty Inc, Sammy Giang. Beautiful stunning Highlands model in a quite location inside the gates of the Silver Creek Valley County Club. Bright open and airy floor plan loaded with upgrades: Cherry hardwood floors, the gourmet kitchen has granite countertops, stainless steel appliances, marble flooring, beautiful crown molding and baseboards, built in speakers, and so much more. Large Master Suite with private bathroom and walk-in closet, separate tub and shower, dual vanity and tile floors. Separate casita perfect for office or bonus room or 4th bedroom. Professionally landscaped low maintenance front yard and back yard. The community has an on-site pool and golf course. Award wining Silver Oak elem. and Chaboya middle schools. 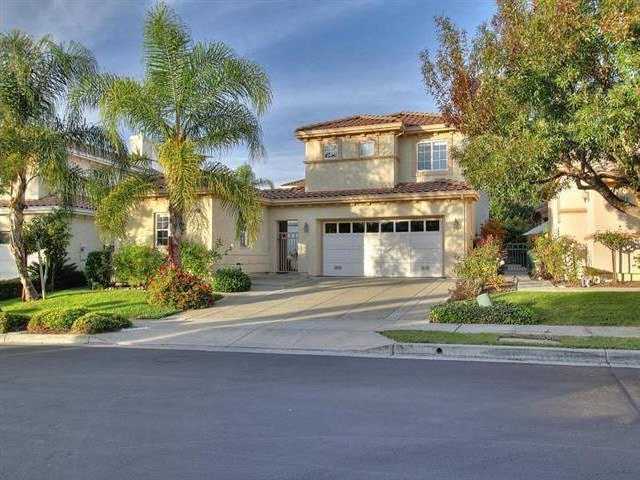 Close to Starbucks, hiking & biking trails, shopping, restaurants, freeways & houses of worship. Open house Sat 03/30 & Sun 03/31 from 1pm to 4pm. Please, send me more information on this property: MLS# ML81733948 – $1,699,000 – 5845 Pistoia Way, San Jose, CA 95138.